Sasquatch. Yeti. Skunk Ape. BIGFOOT. In the pantheon of mythic monsters, few cast as intimidating--yet fascinating--of a shadow as Bigfoot. Over the decades, the legend of Bigfoot has gone from campfire horror story to mainstream television topic as seemingly everyone wants to "find" the creature. Yet proof seems just out of reach as year after year passes with no definitive evidence. For now, at least, Bigfoot remains a creature of our imagination. But there's something about the legend, isn't there? It seems undeniably familiar and somehow comforting to think that maybe something really is out there. Could there be a race of beings who exist on this planet and that have been around as long as we have, maybe longer, but somehow managed to evade the ever-encroaching territory of man? It's our nature to think that it's possible. The facts, when weighed, are too intriguing to ignore. Every culture seems to have a legendary creature that would fit the description of Bigfoot. 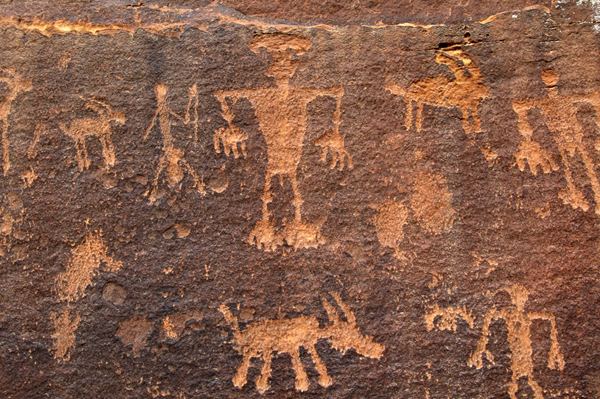 Over two dozen tribes of Native Americans tell stories about a creature that is tall, covered in hair, sticks to the shadows, and has little interaction with humanity. These creatures were not to be feared as much as they were to be respected. Similarly, Asian cultures hold the same tradition about the Yeti, a large ape-like creature who lives in the mountains of Nepal, the Himalayas, and even rural parts of China and Russia. In 1942, two hikers saw a couple of dark shapes that they estimated to be about eight feet tall, walking across the snow. The shapes went unidentified and unexplained. In 1960, Sir Edmund Hillary, the guy famous for climbing Mt. Everest, went in search of the Yeti and came back with a scalp that was later debunked as belonging to a goat-like animal. The American president Teddy Roosevelt was famous for his adventures in the western states in the late 1800s and early 1900s, and he's been connected to several legends about Bigfoot. Unfortunately, all the stories about Roosevelt shooting or discovering a Bigfoot are inaccurate. He never did, and he never said he did. What we can trace to Roosevelt, though, is a story that he wrote in an 1892 book called The Wilderness Hunter in which he recounts a tale told to him by a hunter/trapper named "Bauman" whom Roosevelt had encountered in his travels. Roosevelt sets up the story by mentioning that hunters and wilderness men are too hardened by their chosen trade to be superstitious, as they've seen and done just about everything. But Bauman really seemed shaken by an event that had happened to him, and his conviction impressed Teddy Roosevelt so much that he was inclined to believe it. Bauman claims that he had been on a trapping expedition deep in the Montana wilderness with his partner when they decided to stop and set up camp for the evening. They wandered away from their site for a while, and when they returned to their camp they discovered that it had been ransacked, presumably by a bear. Strangely, though, the tracks were of a creature walking on two feet, not four, and that the tracks were definitely not human. Deep in the night, they heard something in the darkness and saw a large, dark shape and smelled a horrible odor. They started shooting at it, and it went away. The next day their campsite was ransacked again while they were away, and the creature once again returned that night, this time howling and making a lot of noise to scare them away. On the morning of the third day, they decided to get out. They began gathering up their traps, and Bauman volunteered to go recover the final three beaver traps near a river while his partner returned to camp. When Bauman returned to the campsite, he was horrified to find his partner dead of a broken neck with bite marks visible on his neck. Mounting his horse, Bauman rode all night until he was sure he was safe. Roosevelt was a phenomenal writer, and you can read the entire account of Bauman's encounter with what Roosevelt called a goblin here on Bigfoot researcher William Jevning's website. All over the world, the legend of a creature taller than a man persists as it has for hundreds of years. They'd be so easy to dismiss, as we do with dragons, if it weren't for the creepy similarities between the accounts. Most of the stories talk about a creature roughly eight feet tall with a broad chest, covered in dark hair like an ape, but standing completely on hind legs, erect like a man. Frequently people mention a powerful odor, not unlike decay and death, that accompanies the sightings. Too many accounts over too many centuries report seeing the same type of creature under very similar circumstances. So what do we have in the way of evidence? Not much, unfortunately. There's the famous Patterson-Gimlin film (shown at the top of this page), one of the earliest and most iconic pieces of Bigfoot documentation in existence. However, that film is far from ironclad proof, and has been called into question as a hoax as much as it has been praised. Even Bob Gimlin, one of the two men who came forth with the footage, is not entirely convinced that it was not part of an elaborate hoax by his friend Roger Patterson. Gimlin maintains that he believes the footage is authentic, but admits that it's possible that it isn't. If the footage is a hoax, it's a good one. Scientists, forensic experts, even Hollywood special effects artists have all studied the footage over the last fifty years in an attempt to definitively authenticate or debunk the film, but have been unable to do either. Whatever secrets or truths Roger Patterson may have known, he took to his grave in 1972. Sometimes investigations into the lore of Bigfoot seem to indicate a massive conspiracy or cover up. Allegedly, bodies of dead sasquatches have been found for decades. More than one person reports calling the local authorities to look at an unusual animal body, which is promptly confiscated by a larger, unnamed organization. Some witnesses report that dead animal bodies have been taken to the Smithsonian Institution in Washington, D.C. for further scientific analysis and autopsy, and that they were told they'd be kept in the loop. These people never hear another word about it, and when they try to follow up, they are told that no one knows what they are talking about. The evidence is simply taken away, and then vanishes. Departments conveniently cease to exist and any trace of the body (and evidence) disappears, never to be spoken of again. It's a Men in Black scenario that reportedly plays out in real life, over and over. 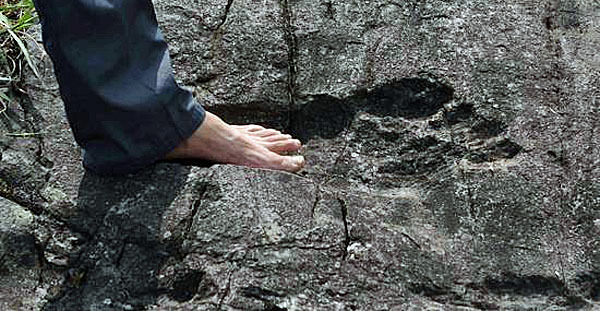 Some people ascribe supernatural qualities to Bigfoot, like shape shifting and teleportation. While certainly entertaining, it seems more likely that any real sasquatch creature would simply be another cryptozoological discovery that science hasn't quite caught up with. For instance, Asian legend holds of a massive ape creature that science didn't believe existed. However, in 1935, an anthropologist discovered fossilized remains of what we now know as Gigantopithecus, a real species of ape that lived for millions of years. These animals stood nearly ten feet tall and weighed up to half a ton. If you've seen the live-action version of Disney's The Jungle Book, Christopher Walken's version of King Louis is a Gigantopithecus. Stories still persist that the giant ape might have been able to exist in small numbers deep within the jungle, just as it does in that movie, long after it appears to have officially become extinct. It's even possible that what we call Bigfoot is the modern Gigantopithecus, adapted over ten thousand years of evolution to be smaller, more upright, and to blend in with its surroundings. After all, who knows what the huge ape actually looked like? Archaeologists have still not discovered an entire skeleton of the beast, only pieces that indicate that it once existed. Yet those pieces let us know that it was real. It took science thousands of years to catch up to that creature, and we still don't know everything about it despite huge breakthroughs in archaeology and scientific investigation. It's not outside the realm of possibility that a Bigfoot-like creature exists and we simply haven't discovered it yet. Whether or not we ever find the proof that would verify Bigfoot as real is almost irrelevant. It's the search that makes us who we are. We can be an arrogant race, this is certain, but we are also humble enough to realize that there is much we still don't know. Furthermore, we once had knowledge that has passed into the realm of the unknown. Consider the pyramids, or Stonehenge, or lost architecture like the Seven Wonders of the Ancient World. Those things existed, but the knowledge as to how they were created is gone and we possess no knowledge of how to recreate them. As technology grows and as the earth itself metaphorically shrinks thanks to developments in communications and travel, ideas and information are now able to spread more quickly than ever before. Maybe it's just a matter of time before we find what we seek. Then again, maybe we were never meant to know the truth behind the secrets of this planet we inhabit. There are things that were here before humans walked these lands, and there are no doubt things that will be here long after we have returned to dust. Maybe we simply can't know the truth because it isn't for us to know. In the end, it's the stories that really matter. In times past, before our monoliths of concrete and iron towered high, we would gather around the campfire that kept the darkness at bay and we would tell stories of places and creatures and gods, knowing that beyond the light was endless, impenetrable darkness. And in that darkness lurked the terrible unknown. Nothing has changed. We are still driven by the fear and the wonder of what lurks just beyond the light of our fire, and we will always be haunted by the possibility of a truth that seems to lie just beyond our grasp.